On Windows, menus can be accessed by pressing Alt and the underlined letter of the menu. Once a menu is open, arrow keys can be used to navigate between menu items. Enter to activate the selected menu item. Note that editing shortcuts can also be used in the browser, in addition to shortcuts below. The loop brace and start/end markers must first be selected before any of the following commands will apply to them. The shortcuts for zooming, snapping/drawing and loop/region settings works in the Arrangement View, too. See also the editing commands. The shortcuts for zooming, snapping/drawing and loop/region settings also work in the Envelope Editor and Arrangement View. See also the editing commands. The shortcuts for zooming and loop/region settings also work in the Sample Display. The shortcuts for zooming, snapping/drawing and loop/region settings also work in the MIDI Editor. 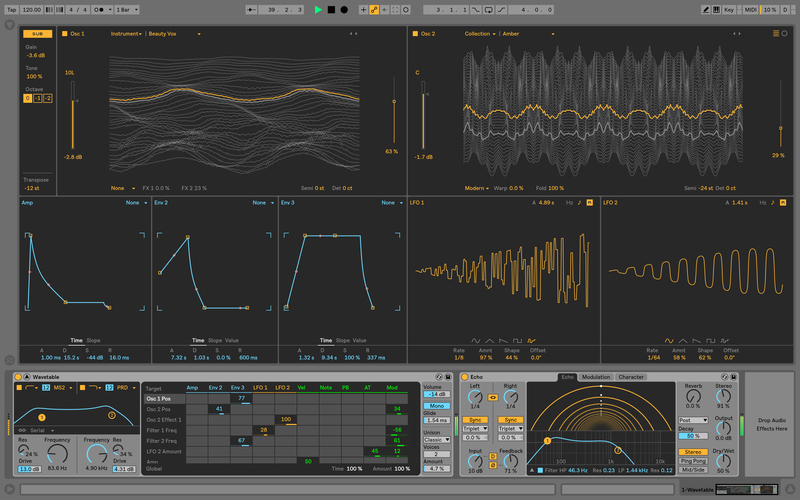 Ableton Live is a digital audio workstation for Windows and macOS. In contrast to many other software sequencers, Live is designed for live performances. It's also used for composing, mixing and mastering. Its first version was released in 2001. What is your favorite Ableton Live 10 (Mac) hotkey? Do you have any useful tips for program? Let other users know below.